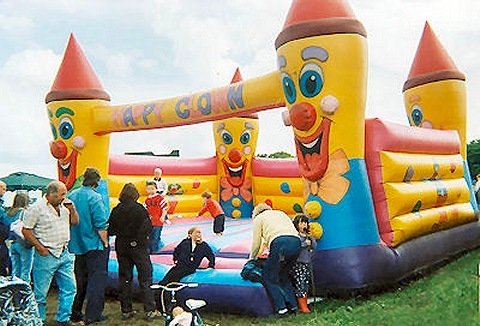 Bouncy castles and inflatables are an essential part of any event. We offer a wide range of hireable castles including bungee run, mini web, clown bouncer, large giraffe bouncer, slippery slide, party bouncer and much more. Hire your bouncy castles, slides, inflatable games and funfair attractions at competitive value-for-money prices from the UK's dependable amusement equipment hire specialist. Range of inflatables for both adults and children for public & corporate events.